PEP is all about making your life easier. As a painting estimator, you’re not interested in financial statements, those are for accountants. 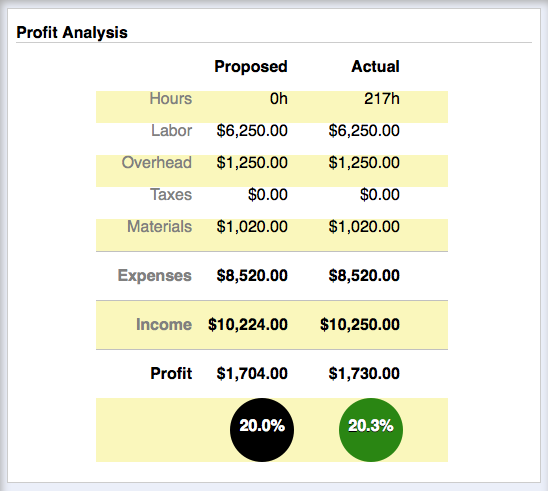 You just want a quick, easy, and simple way to track job income and expenses. 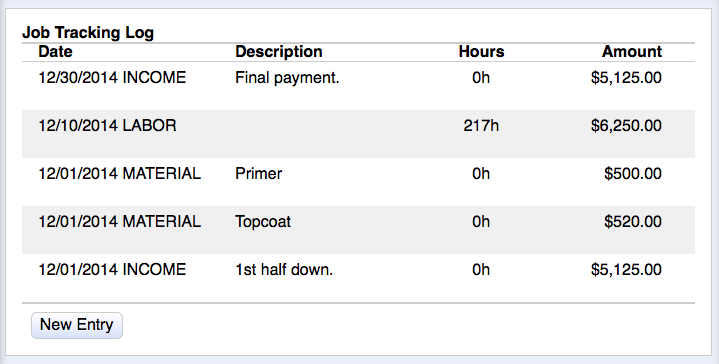 PEP Job Tracking Log is exactly that. The PEP Job Profitability Analysis totals up the entries from the Job Tacking Log and summarizes them in a clean, simple report. Not only does it compare the proposed expenses and income with the actual job expenses and income, it provides a simple answer to a simple question: How much money did the job make (or lose)? 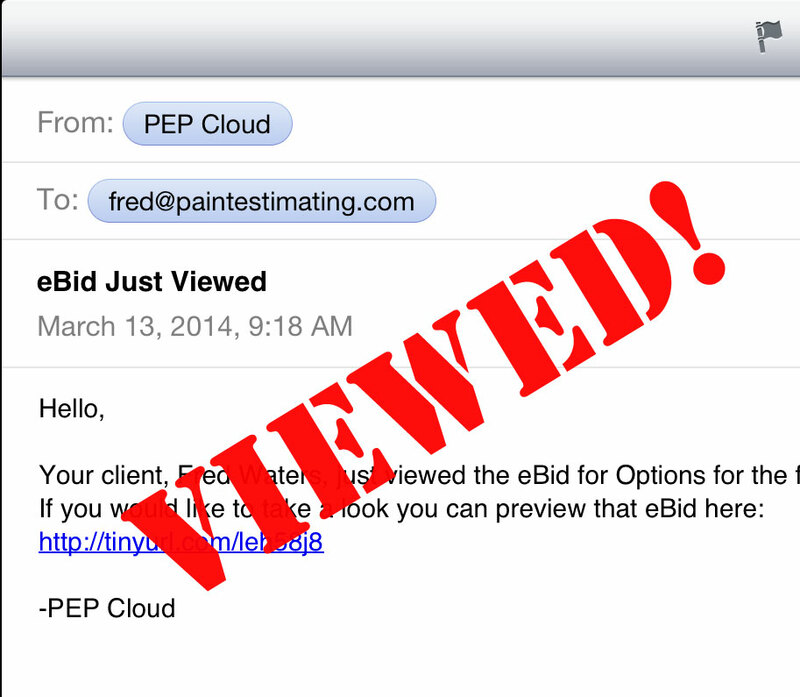 PEP eBid allows you to convert estimates into bids that you can send to the customer right from PEP. 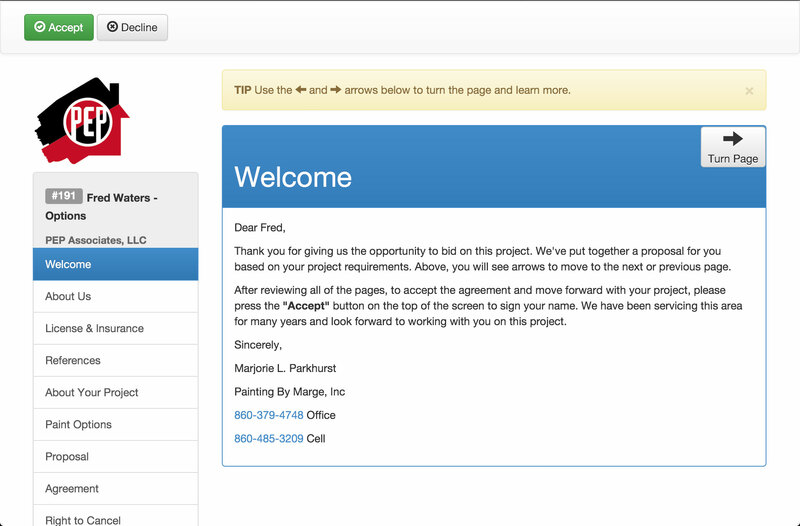 eBid uses pre-defined templates and estimate data to create a bid in seconds. Start working smarter, with the PEP eBid feature. Gain an edge over the competition with this built in eBid feature. Showcasing your past work helps you gain your customers trust, and confidence that you are the right painter for the job. Don’t just tell a customer you can do a job, show them that you have done it before. With PEP eBid functionality, you don’t have to wonder “has the customer looked at my bid yet?” eBid lets you know when the email has been viewed and the bid has been opened, which is the perfect time to follow up with the customer to see if they have any questions. This is just one way PEP can help you get more jobs, and make more money. When something is easy, it gets done faster. 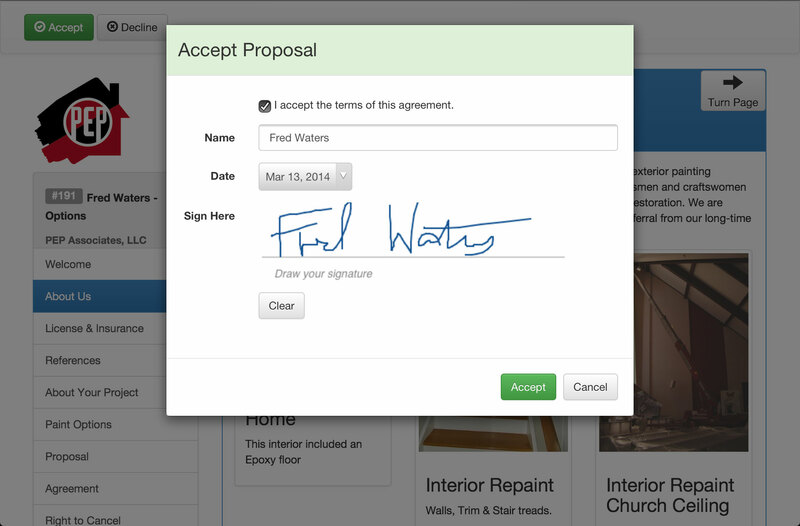 Make it easy for your customers to sign contacts with electronic signatures. The federal ESIGN act signed into law by President Bill Clinton on June 30, 2000. 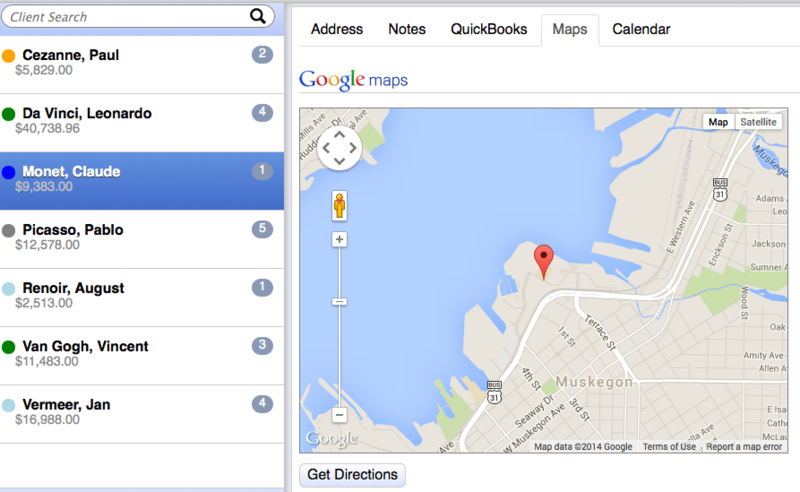 PEP Google Maps integration stores and provides directions to client locations as well as job locations. 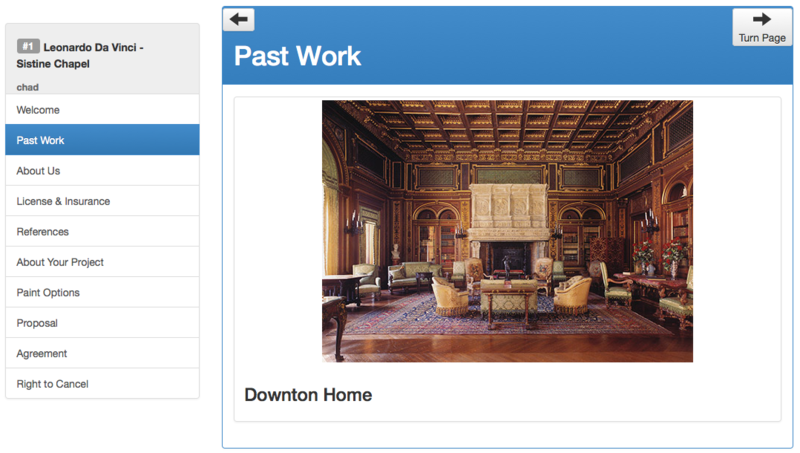 No more fumbling through files or trying to remember where you wrote down that address. Remind yourself about important meetings, or simply provide better customer service by setting reminders to follow up with a customer after a job has been completed. Tons of companies estimate better with PEP. Join them today.